Nourish Your Body and Increase Your Business! ~ founder of CleanForks.com - power food coaching for powerful women to help Grow your business and Shrink your booty ! Do you know a successful woman who, no matter how smart and high achieving she is, still seems to sabotage herself with food? Maybe you’re that woman. There are lots of women who don't have a weight problem, but their nutritional habits contribute to fatigue, anxiety and depressive symptoms. 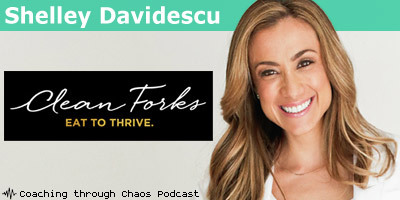 Shelley Davidescu, founder of CleanForks.com learned during her graduate studies how important nutrition was to her own mood and health. She went on to earn her Master’s in Marriage and Family therapy and has turned her knowledge of emotional well-being and psychological well-being into her own entrepreneurial venture. Clean Forks is a program she designed to help coach successful women to be the best they can in their businesses and to themselves through interrupting ways of eating or nutritional habits that work against their emotional success. Shelley believes that what we eat affects how we feel. She’s found that if you fuel your body with body-nourishing food and your mind with soul-nourishing thoughts you energy skyrockets. Why focus on entrepreneurial women? Shelley knows firsthand what it takes to get a business off the ground. As a therapist, she built a successful private practice from the ground up. She also learned that so much of her mood was dictated by her food choices. She’s learned through her own nutritional studies how to eat in ways which energize her, fuel her brain, increase her Seratonin (that stuff in your brain that makes you happy) and increase her productivity. She now shares her knowledge to her clients through her Clean Forks program. The Clean Forks program is designed to get her clients thinking about how their food and business can be enhanced through making choices that are health and wellness focused, rather than stress dictated. Shelley coaches the clients 1:1 through the phone or Skype. If you’re looking to get a taste of what it might look like, Shelley also facilitates the Eat to Thrive Facebook group where you can learn a bit more about her program and participate in the group for free. 1. 1-Day Intensive: A personalized coaching session with Shelley designed to get you unlocking deep held emotions around food. At the end of it, she customizes a 7-day meal plan based on your preferences. 3. 90-Day Body & Biz Mentorship: “This program is a three month, one-on-one, extraordinarily powerful coaching program made up of weekly coaching calls, a (virtual) kitchen decluttering session, a custom meal plan and lots of other goodies guaranteed to help you make small shifts that lead to MAJOR (bottom-line boosting) changes in your life, body and business. 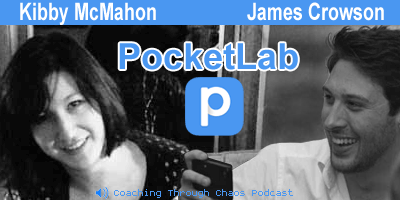 It’s food coaching, life coaching, business strategizing and lifestyle upgrading all-in-one. And it’s all guaranteed to help you feel AMAZING in your own skin so you can ROCK your business. 4. 21-Day Biz and Body BootCamp: 3 Live Weekly Calls with Q & A at the end of each call. Instant access to 21 days of EASY mouth watering recipes to keep you on track (and satisfied but without the guilt). You pair up with an accountability partner (of your choice) for a smooth (and accountable) ride. Meditation Audio to Relax and Stay Centered. Fool-Proof PDFs to Bust Through Your Limiting Beliefs. Each week you get your PDF instant download delivered in your inbox. There's a new 21-Day Biz and Body BootCampt Starting next week! You can click here to sign up! * This information was taken from CleanForks.com. See the hyperlinked pages for in-depth descriptions of these programs.